My love of poutine is as strong as John Torterella's desire to drop-kick Bob Hartley in the face. I guess now that he has been fired, it will have to be some other venue - possibly a celebrity wrestling match perhaps? I'd pay to see that... Anyways, back on topic... 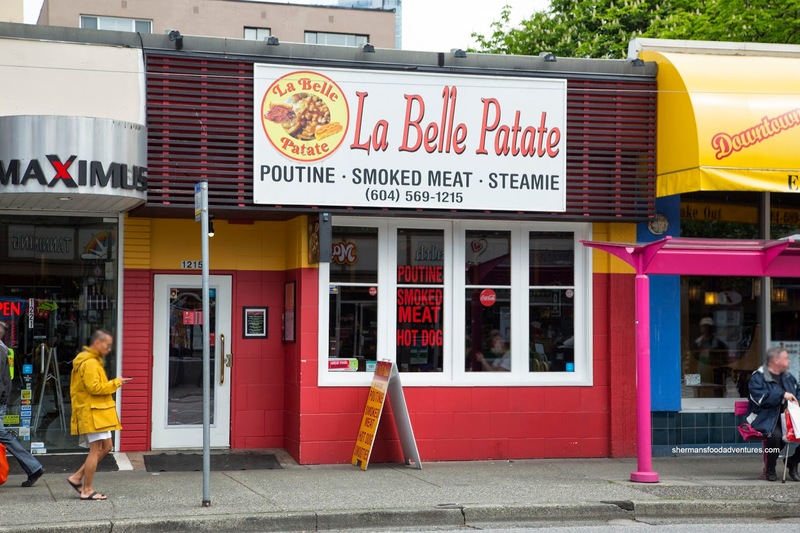 Awhile back, I considered La Belle Patate as possibly the best poutine one could get in the Lower Mainland. Well, after sampling a whole lot of poutines in the last 5 years, it was about time I went back to the well to see if I still felt the same. Surprisingly, for such a popular place, there are a couple of Entertainment coupons to be had. As such, being the deal-seeking Asians that we are, Viv and I each had a small poutine (2-for-1 baby!). I went for what I consider their best poutine in the Smoked Meat. 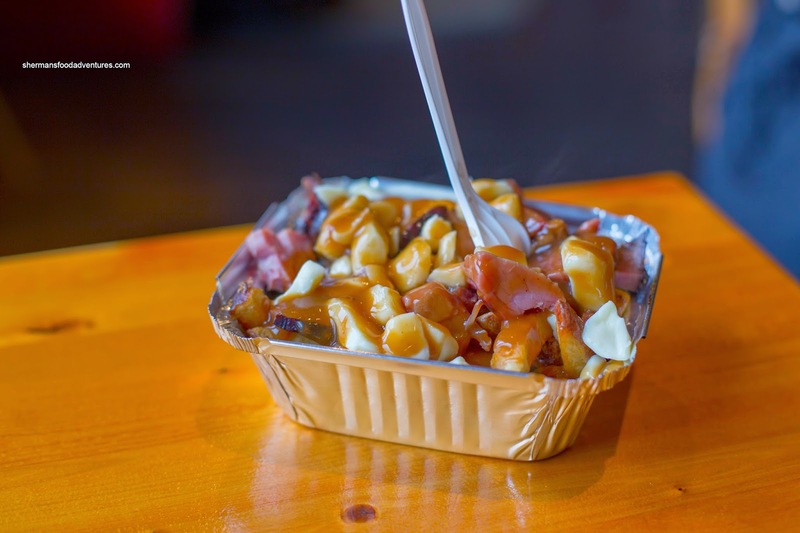 With tender chunks of buttery soft smoked meat, this poutine gets amped in both flavour and texture. The legit and ample cheese curds were intact and only slightly melted, offering up a squeak on each bite. The crispy and potatoey frites stood up to the silky gravy maintaining its integrity. Viv went for the BBQ Chicken Poutine laced with a only a light dusting of spices. Hence, it was essentially a regular poutine with pieces of relatively moist white chicken chunks. 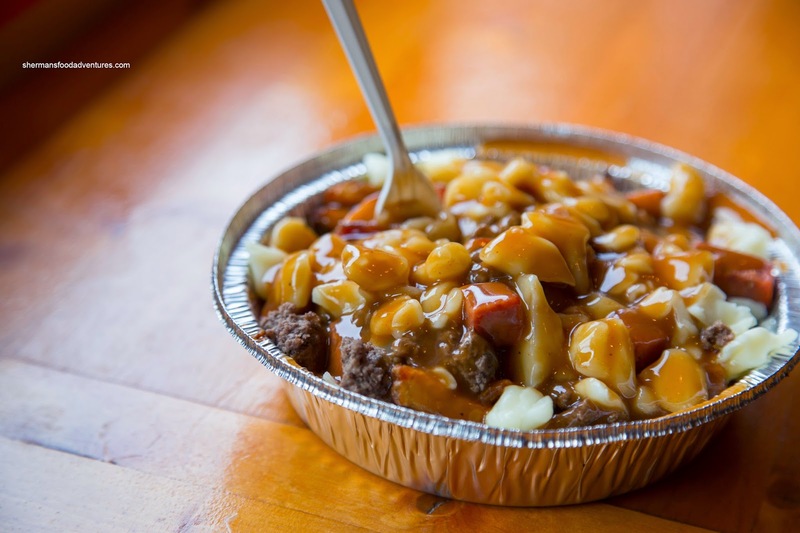 A few weeks later, I returned by myself and had one of their more substantial poutines in the Meatlovers (medium size). Consisting of beef, pepperoni and bacon, this was a meal in itself. The plethora of meat made the entire thing a bit more salty with a touch of spice from the pepperoni. 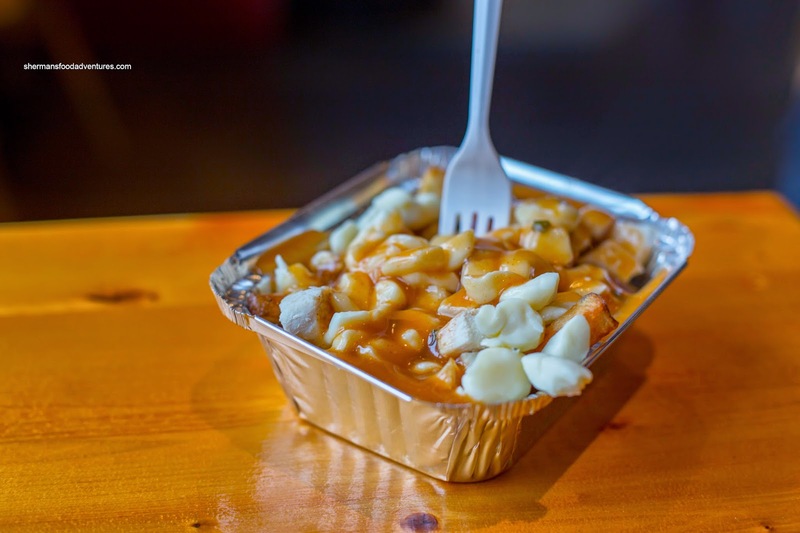 It exhibited the same qualities as the aforementioned poutines and I gladly ate the whole thing with only a bit of guilt. So how does La Belle Patate compare to such places like the Spud Shak, Belgian Fries and Fritz? I would say it is still definitely up there, yet it would need to do battle with Spud Shak for top billing... Maybe a la Torts vs Hartley? Wow! Their poutine looks really good, can't wait to try it sometime!